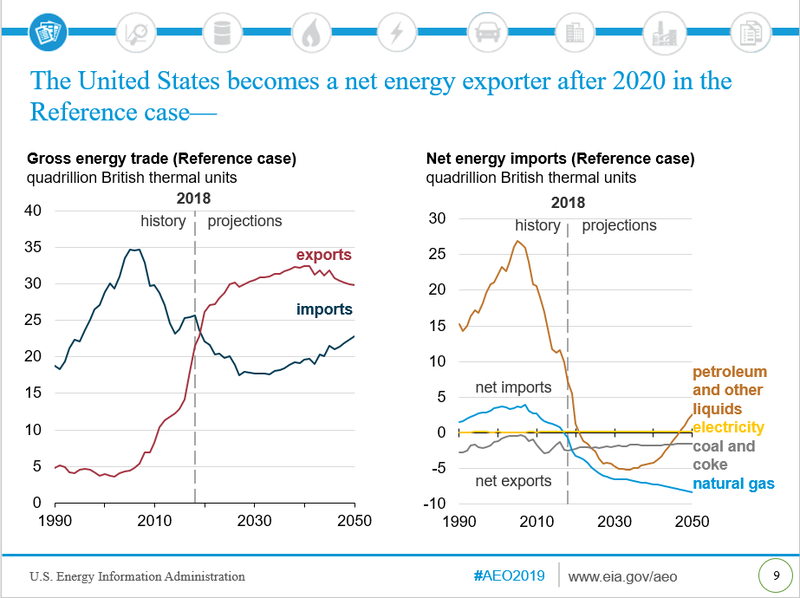 Less than a year after predicting the United States would become a net energy exporter by 2022, the Energy Information Administration issued a new forecast this week: Thanks to record-shattering oil and natural gas production, the United States will actually achieve this status by next year. 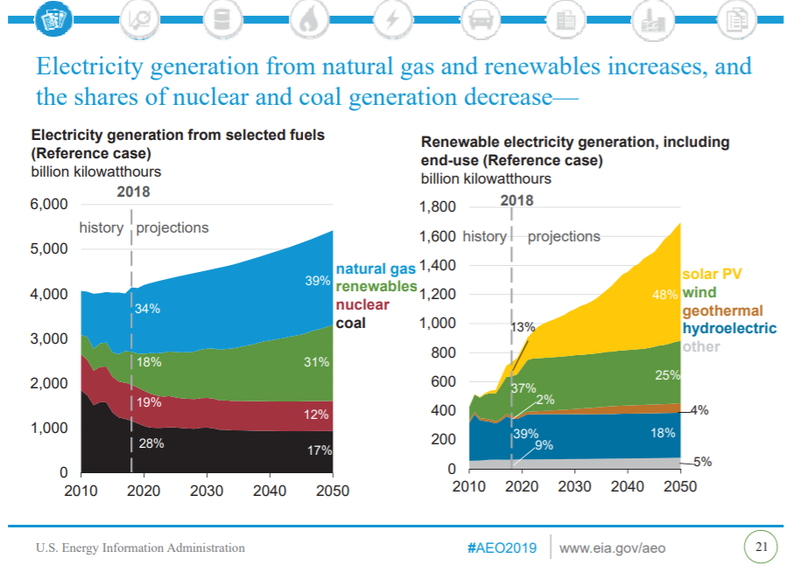 In addition, EIA predicts that despite a substantial increase in electricity generation, the use of natural gas and renewable sources will help emissions from that sector remain relatively flat. 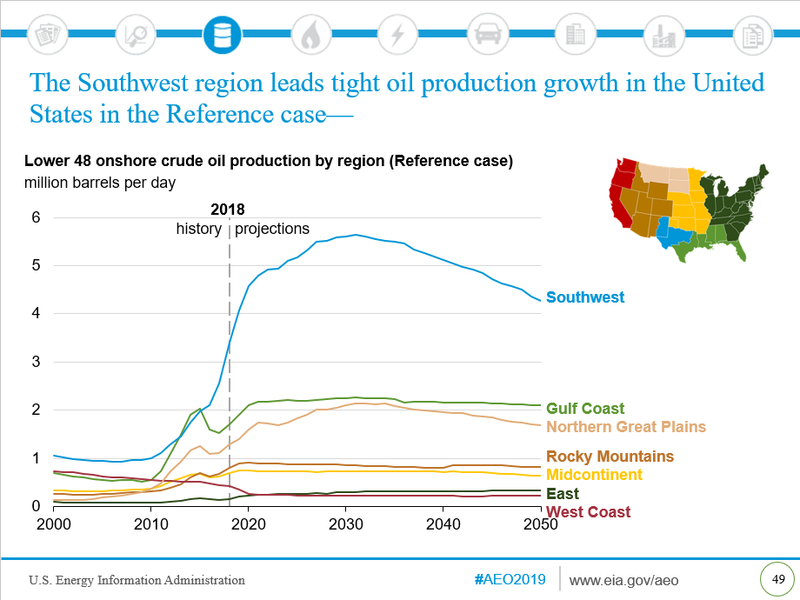 For perspective, crude oil production was 11.9 million b/d as of January 11, according to EIA. 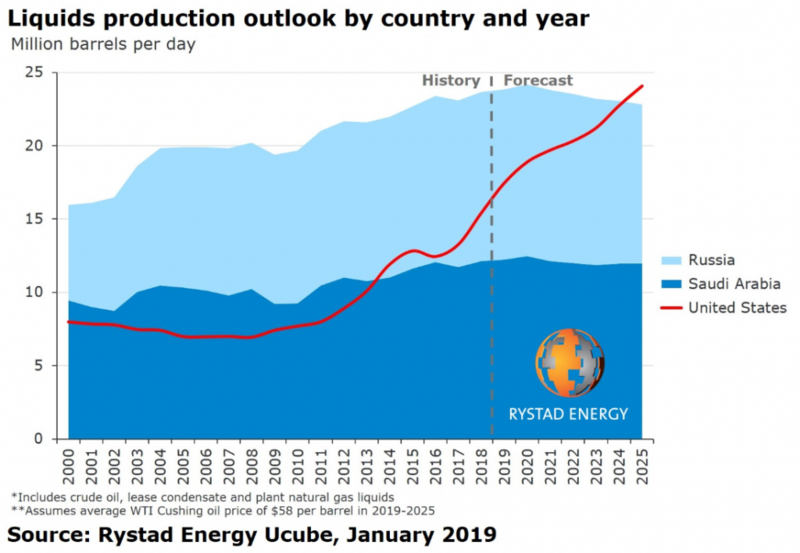 The forecast calls for a more than 17 percent increase in production over the next 8 years, which follows 112.5 percent production growth since January 2011. 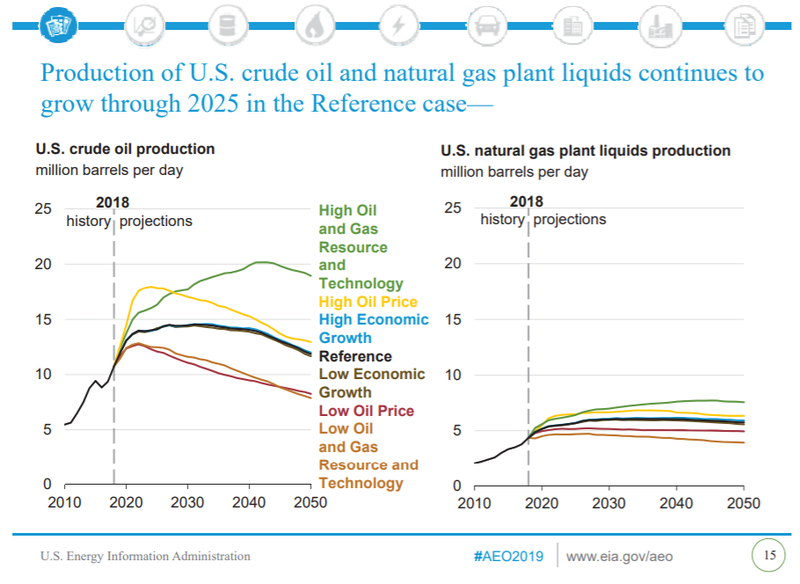 In fact, a new report from research firm Rystad Energy predicts U.S. oil and hydrocarbon liquids production will surpass that of Saudi Arabia and Russia combined by 2025. 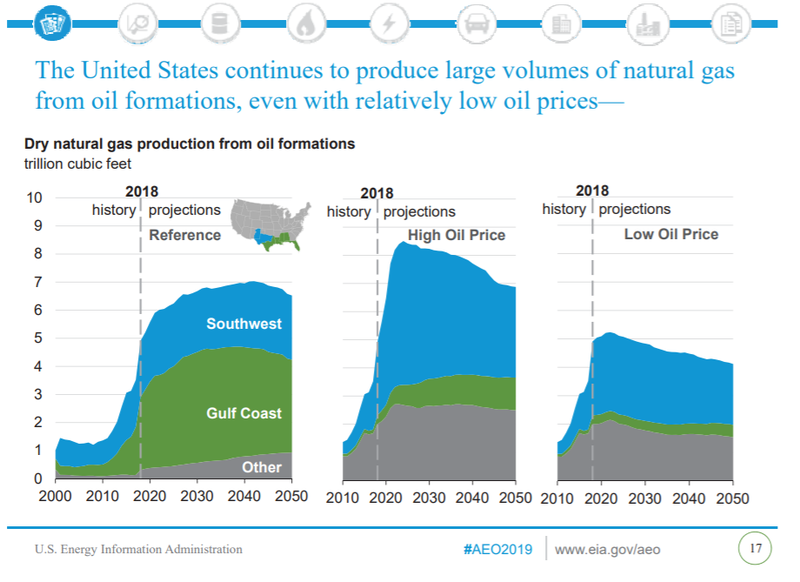 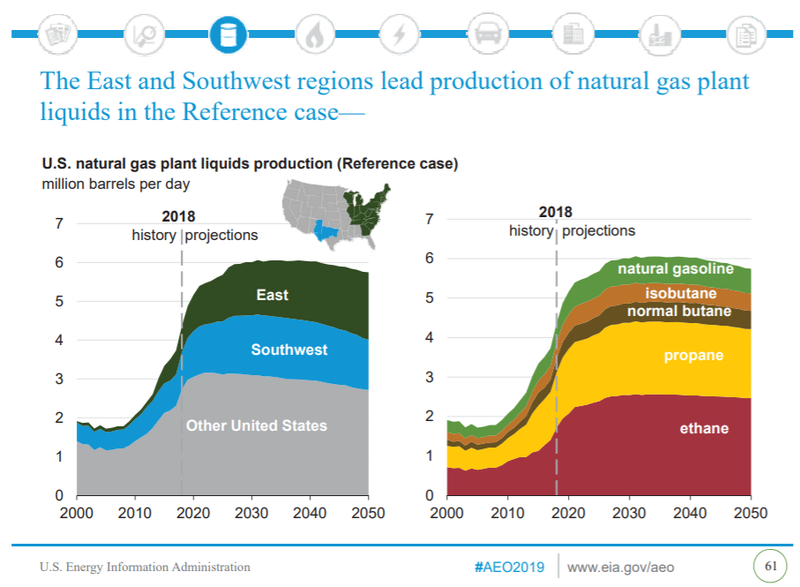 EIA forecasts that natural gas production liquids (NGPLs) will comprise one-third of total liquids growth, and alongside natural gas, will have the highest production growth of all fossil fuels through 2050. 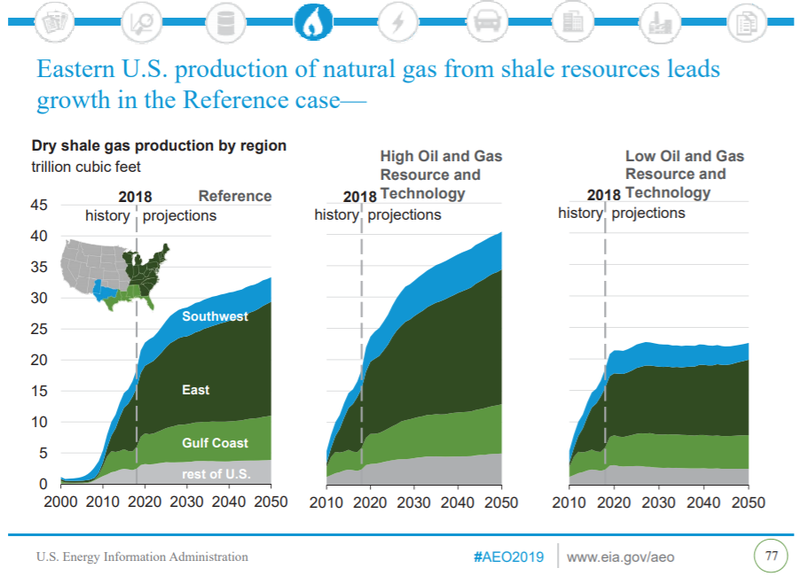 The Marcellus and Utica Shales in the East will continue to drive this production growth, along with strong contributions from the Eagle Ford and Haynesville plays in the Gulf Coast, according to EIA. 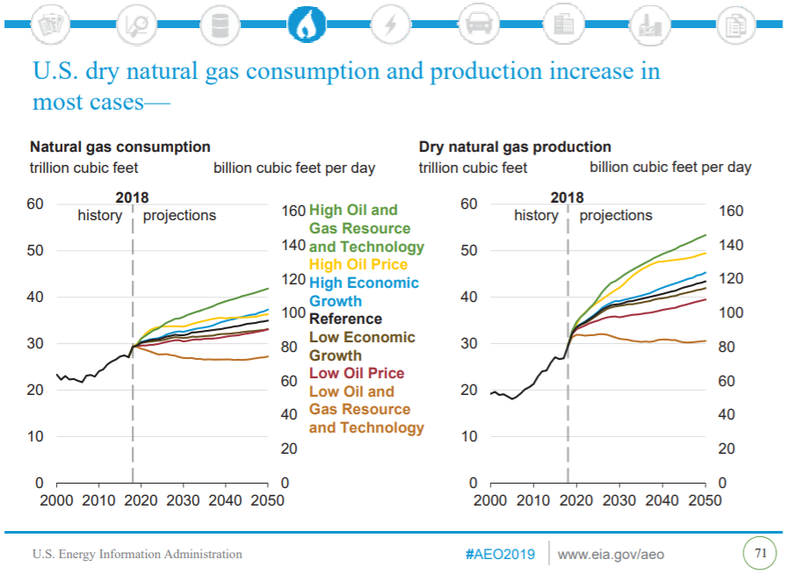 The 2019 Annual Energy Outlook forecasts the strengthening of U.S. energy security, as record oil and natural gas production continues to reduce American dependence on foreign energy. 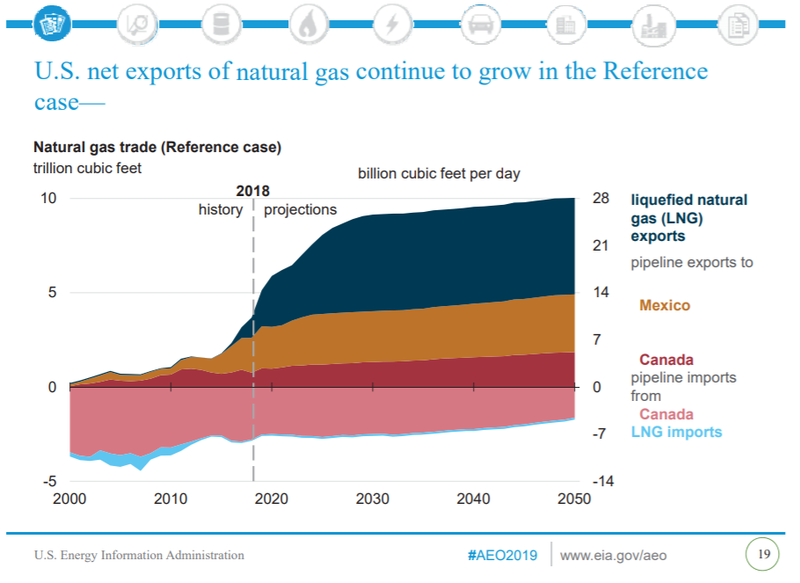 This abundance of U.S. energy will not only provide domestic benefits, but will enable the United States to have an important role in improving the world’s access to energy and decreasing global emissions. 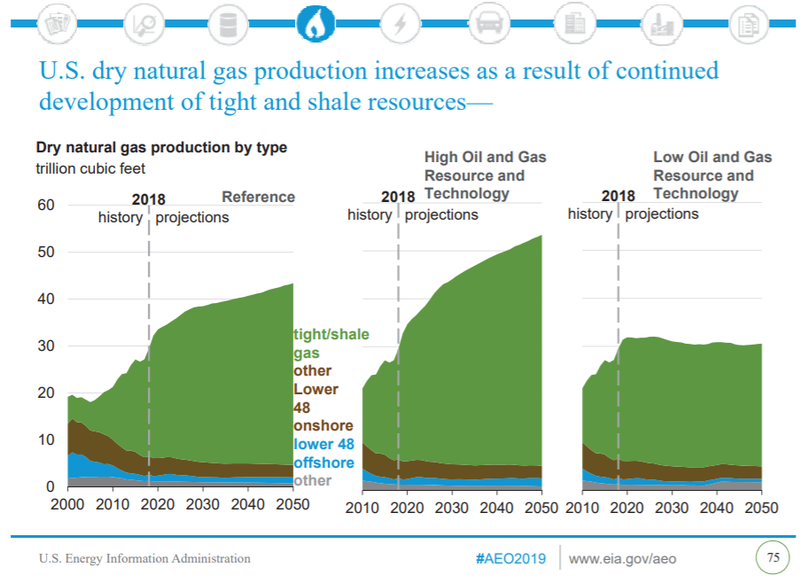 And we’re poised to do it more quickly than previously imagined.